-For most drummers who own starter sets, the first add-on or replacement purchase is hardware. -Hardware packages allow players to purchase all the necessary upgrade components in a value-pack format with a lower price than buying them individually. 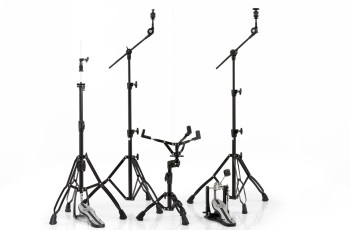 -The 2 boom cymbal stands offer great flexibility in cymbal positioning and fold up smaller for compact storage and transportation.